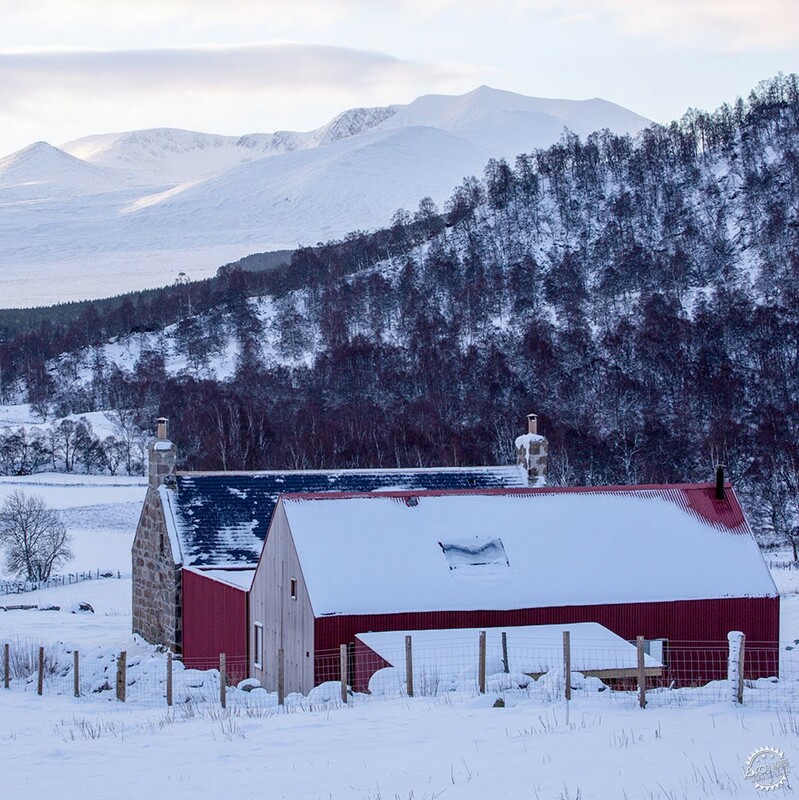 The striking scenery of Scotland was the inspiration behind the RIBA House of the Year. Here's a look at more of the country's picturesque rural retreats, including a farmhouse with a red extension and a house designed to optimise the sunrise and sunset. An old granite farmhouse was restored and extended to create this house in Cairngorms National Park, northeast Scotland. The gabled extension echoes the form and proportions of the existing building, but is clad in lengths of untreated larch and sheets of red metal to resemble "honest and elementary" vernacular materials. 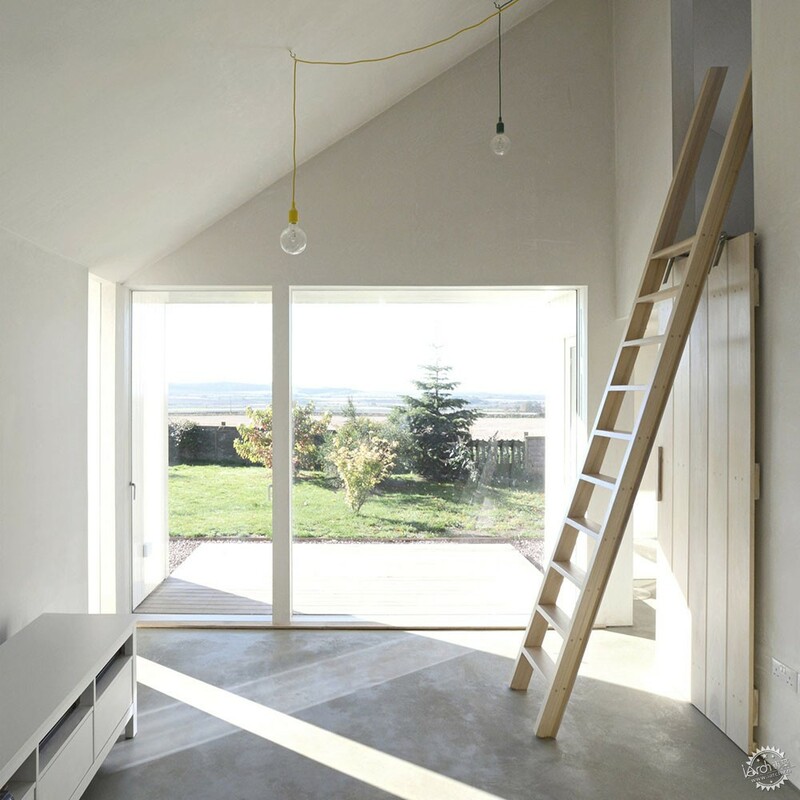 Raw Architecture Workshop designed a kinked plan for this house to maximise views of the sunrise and sunset, which are framed through large gable windows in the living areas. 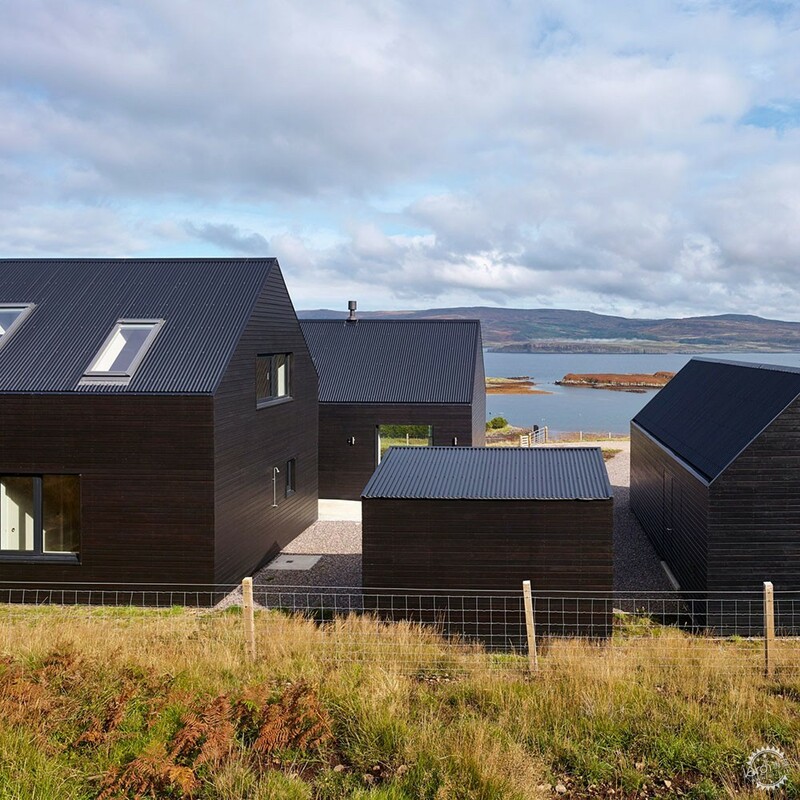 Located on former grazing land on Scotland's northwest coast, the property is partly submerged in the landscape and clad in black stained timber. 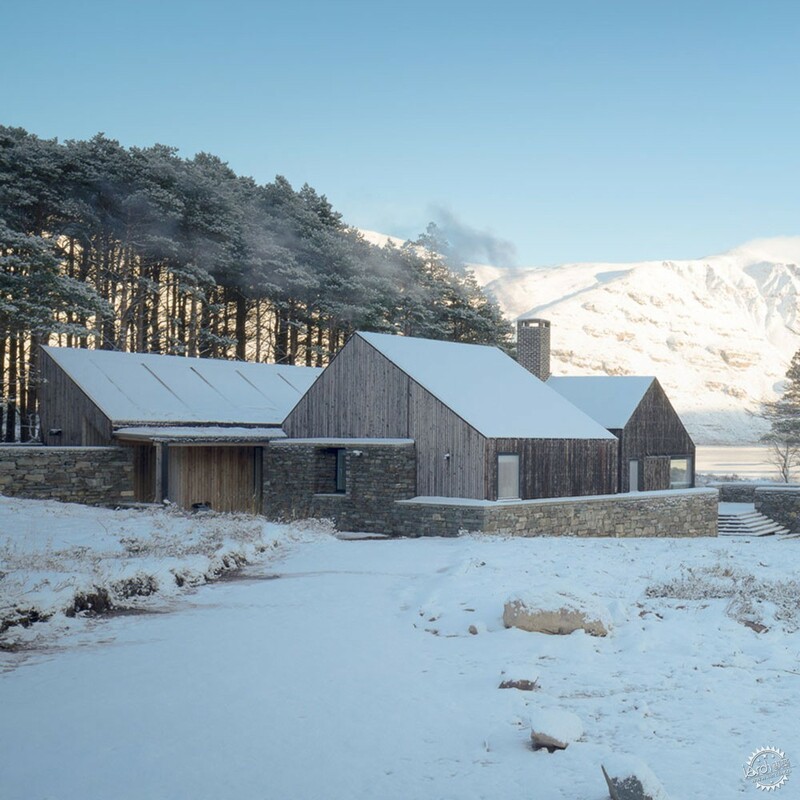 The winner of RIBA House of the Year 2018, this dwelling by Haysom Ward Millar Architects is completely off-grid and crafted from natural materials that complement its scenic location. 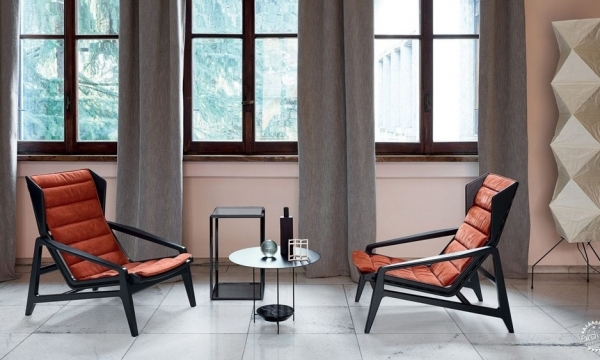 Home to a ceramic artist, its interiors are bright but pared-back, featuring oiled timber ceilings and large windows to frame the views of the neighbouring loch and mountains. 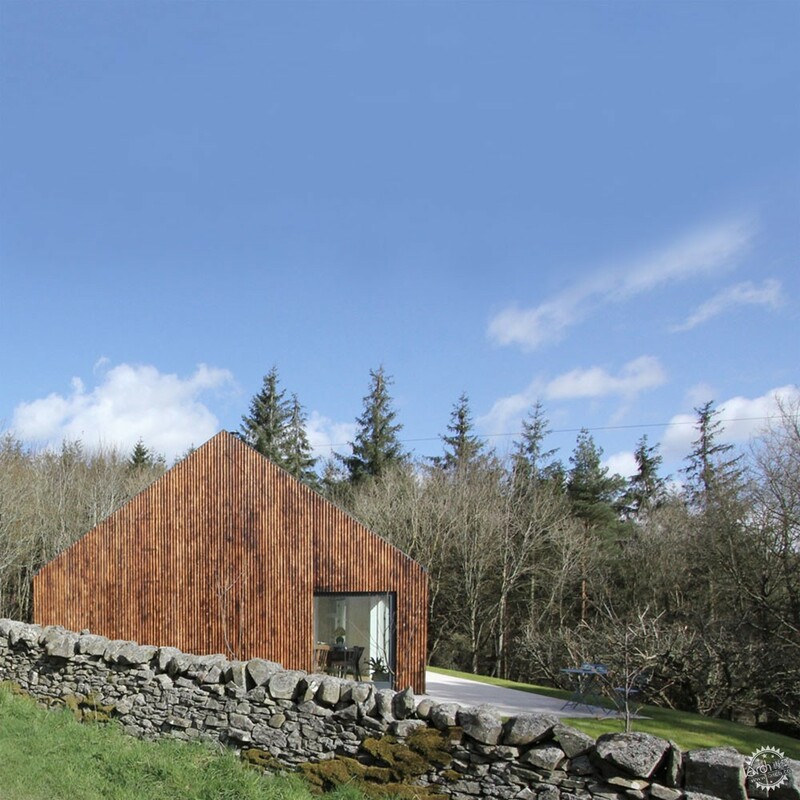 GRAS transformed a derelict cottage on the Kyle of Tongue to create this holiday home, which boasts uninterrupted views along the length of a sea loch. Behind its old stone walls are now a series of oak-lined "boxes", designed to offer a contemporary contrast to the more traditional exterior. 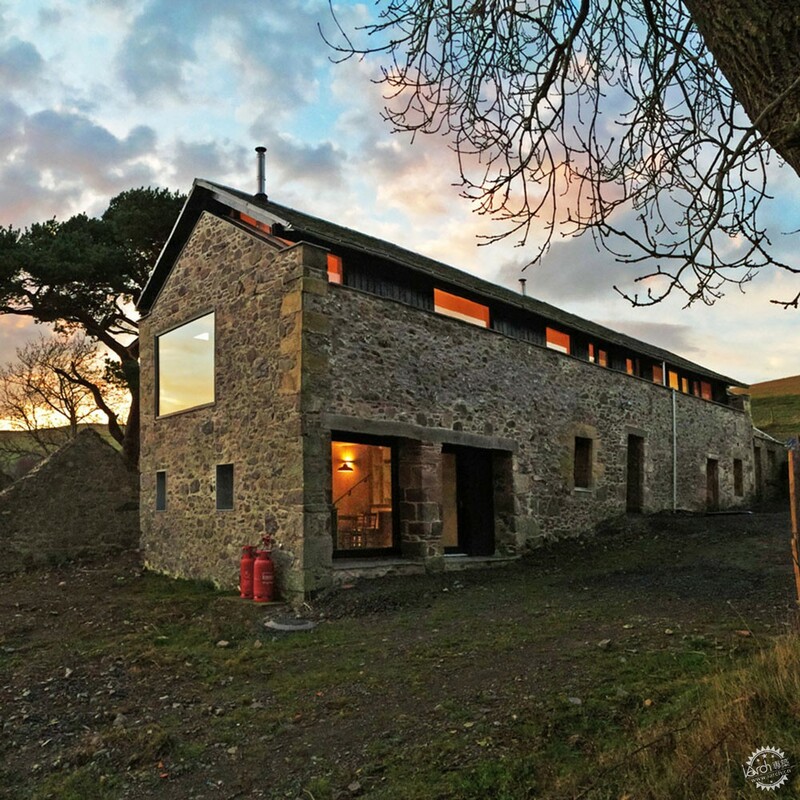 This family holiday is slotted inside the shell of an old stone mill, which nestles into a hill overlooking a valley in the Scottish Borders. It is distinguished by a pitched roof that protrudes above the existing parapet. It also features a series of characterful mismatched windows that align with gaps in the old stone wall. 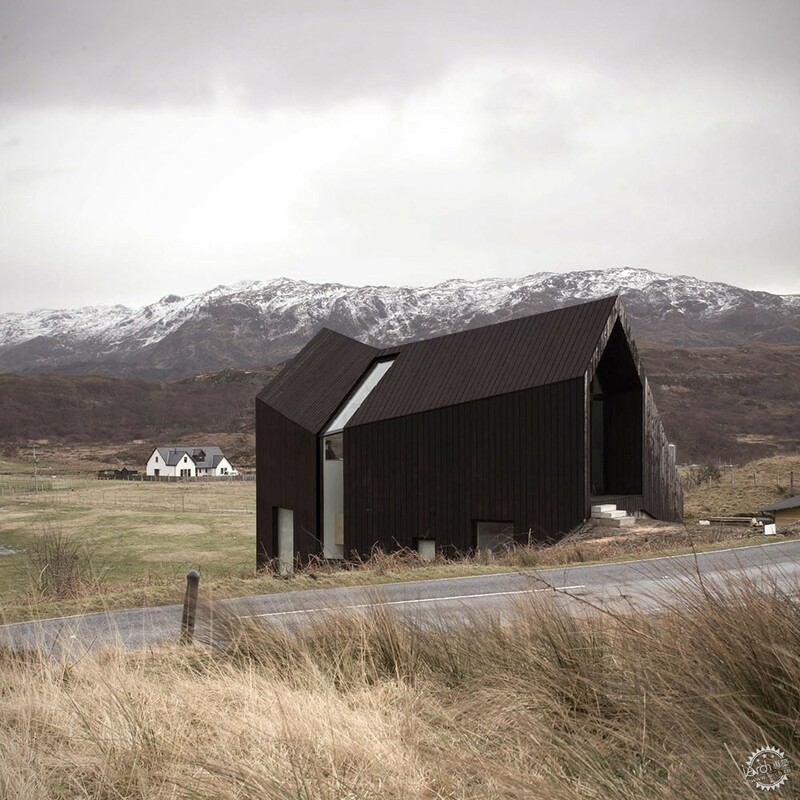 Located on elevated farmland on the Isle of Skye, this house is clad with black Siberian larch. The dwelling comprises four blocks overlooking the bay, which are arranged to create a semi-private courtyard screened from the harsh winds of the coastal site. The blocks are absent of any visible gutters or projecting eaves, giving them the look of simple agricultural buildings. This shingle-covered guesthouse was added by Sutherland & Co to a small rural farm cottage on the outskirts of Edinburgh, so the client could invite their family to stay. Skylights flood the interior with natural light, and there is also a patio deck offering guests the opportunity to sit outside and enjoy the view of the countryside. Rural Design clad the walls and roof of this compact, shed-like holiday home with corrugated aluminium, to reference the aesthetic of local agricultural buildings. 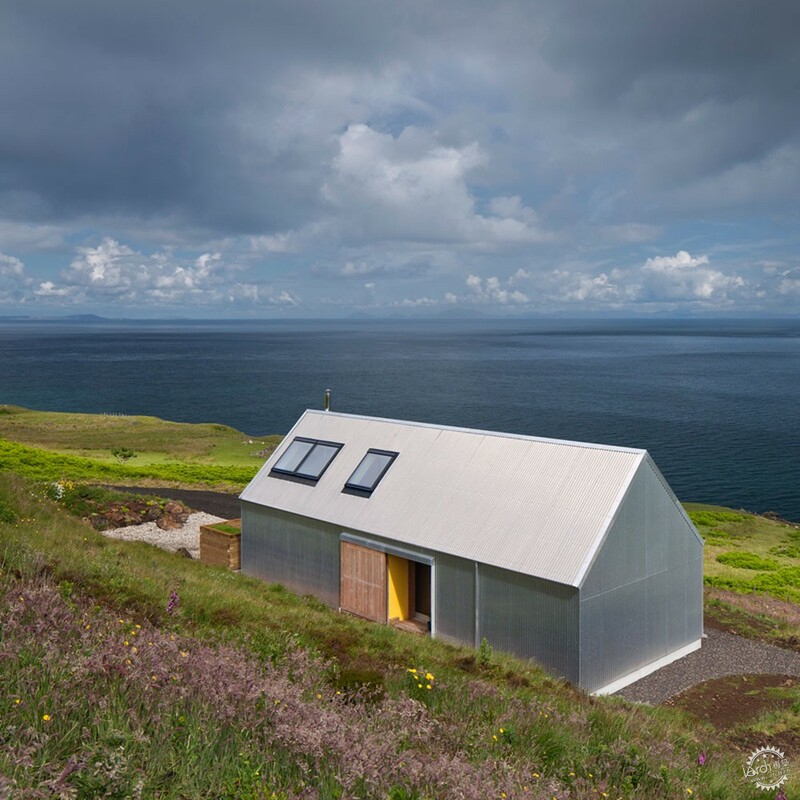 Teamed with minimal window openings, the material helps protect the building from the fierce storms that regularly batter the landscape on the Isle of Skye. A449 adapted and extended a mid-20th-century dwelling to create this larch-clad home in the Scottish Borders, which provides scenic views for a writer. 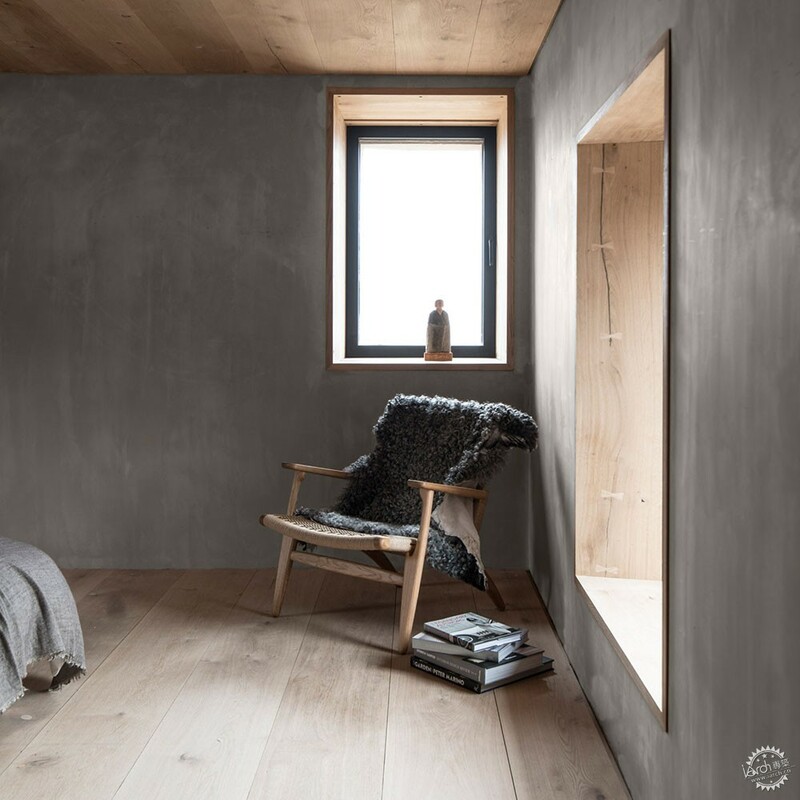 While the writing studio features picture windows facing into a grove of mature trees, the master bedroom and bathroom are complete with skylights that frame views of the sky for stargazing. 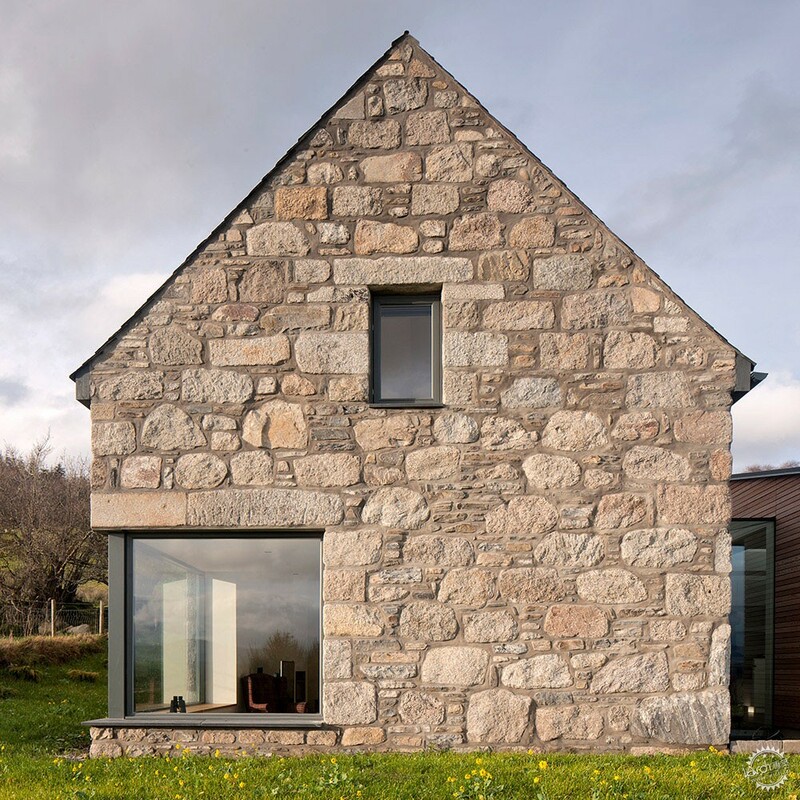 Architects Stuart Archer and Liz Marinko added a modern timber and glass structure to a pair of traditional stone-walled buildings to form this house in the Spey Valley. 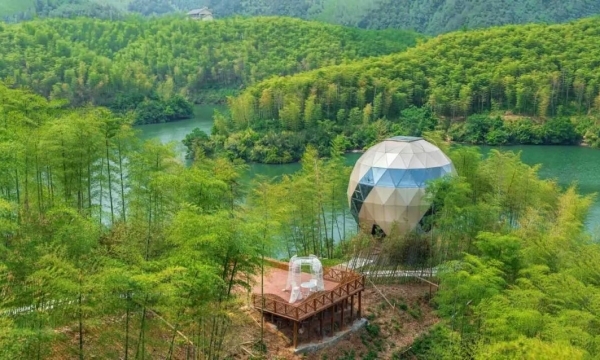 The house is designed for both solitary living and hosting guests, so contains rooms that can be closed off from the rest of the property when not in use.